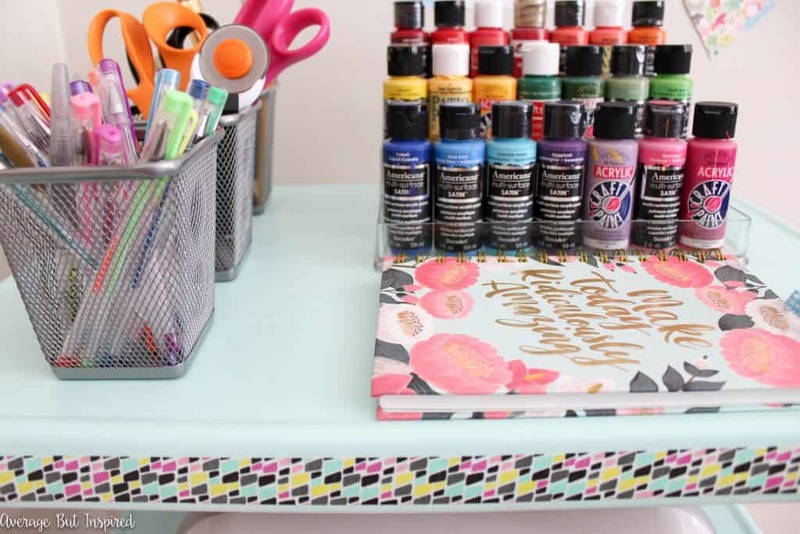 Today I’m feeling a little shocked about two things: (1) I blinked and we’re ten days into August; and (2) it’s again time for The Monthly DIY Challenge. 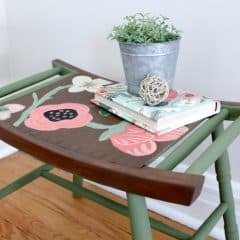 If you’re unfamiliar with The Monthly DIY Challenge, each month some of my best blogger friends and I team up to create projects that revolve around common items or themes. 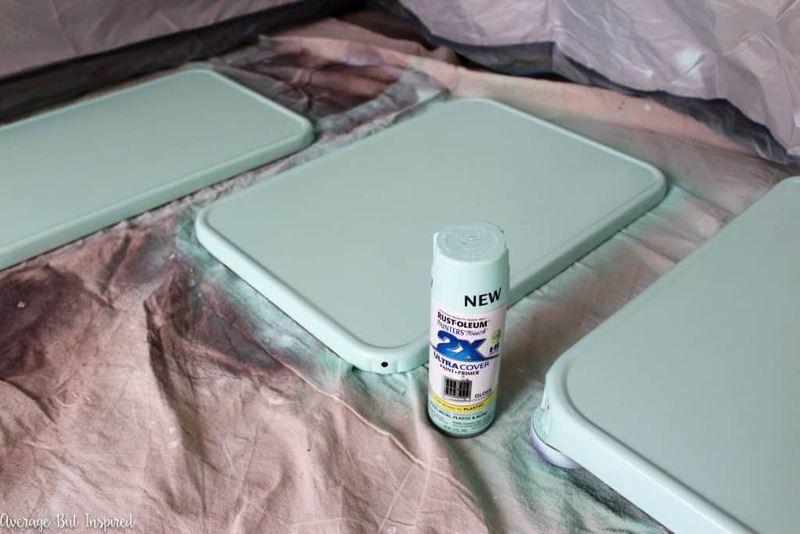 Recently we’ve worked with things like blank canvases of all sizes and air dry clay, but this month we’re all updating home decor items with spray paint! 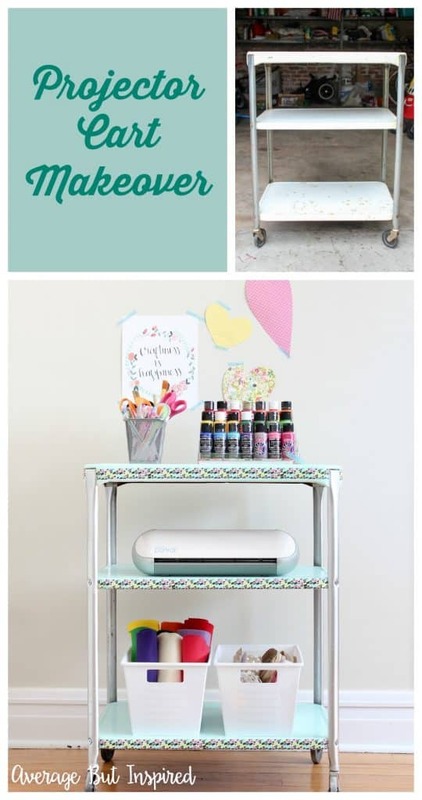 I can’t wait to show you how I gave a rusty old metal projector cart a fresh new look and purpose as a craft cart! 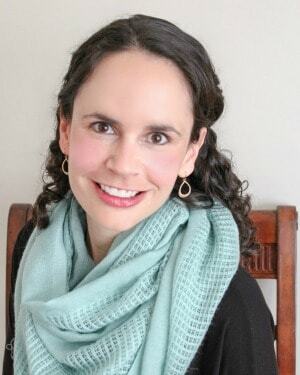 And thanks to the generosity of HomeRight through its sponsorship of this challenge and my post, I just know you’re going to L-O-V-E my friends’ projects, too! (If you’d like to read my full disclosure policy, you can do so here.) 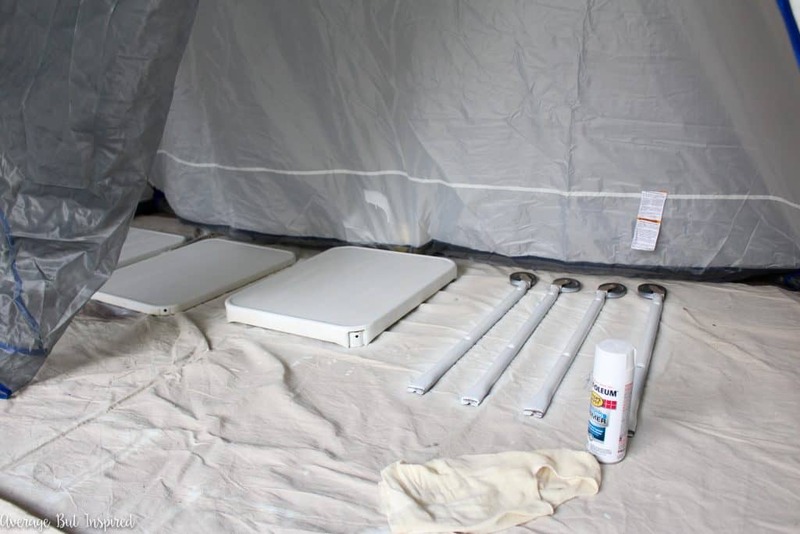 Here’s a little sneak peek, but you’ll find links to all of the projects at the bottom of this post, as well as an amazing giveaway for a Finish Max Paint Sprayer, Rapid Clean Kit, HomeRight Spray Shelter and HomeRight Small Spray Shelter! Alright, well let’s get down to the dirty details of this project, shall we? 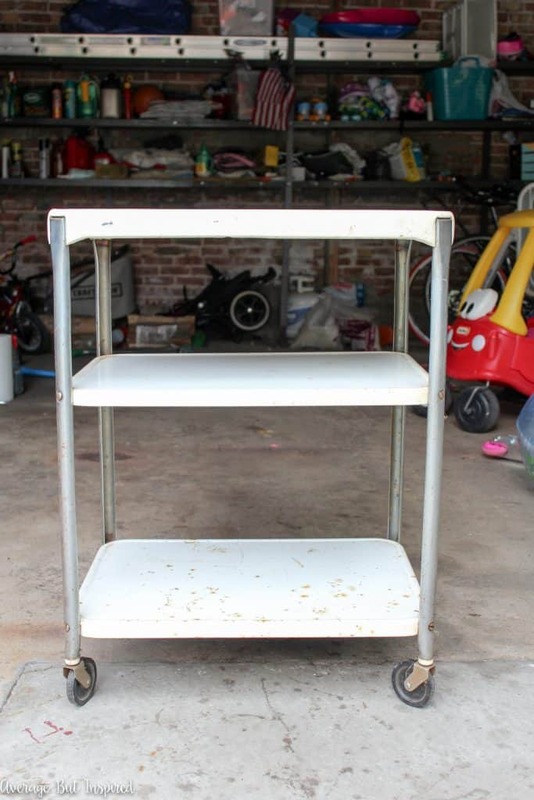 Let me show you the BEFORE photo of my vintage projector cart. Warning: it isn’t pretty. I picked this guy up at the Kane County Flea Market back in July, and my husband would not stop making fun of me for it. “You went all the way to Kane County to buy that?” (It’s probably and hour and twenty minutes away.) Some people (my husband, for example), have no vision. Please note that some of these links are affiliate links, which means I earn a small commission at no added cost to you, should you purchase through them. To read my full disclosure policy, please click here. First of all, if you’re working with an old projector cart, you’ll need to clean it really well. Mine was disgusting and I had to wash it about three times. Once it was clean, I took it apart. Next, I got to work protecting my garage from the spray paint bonanza that was about to ensue. 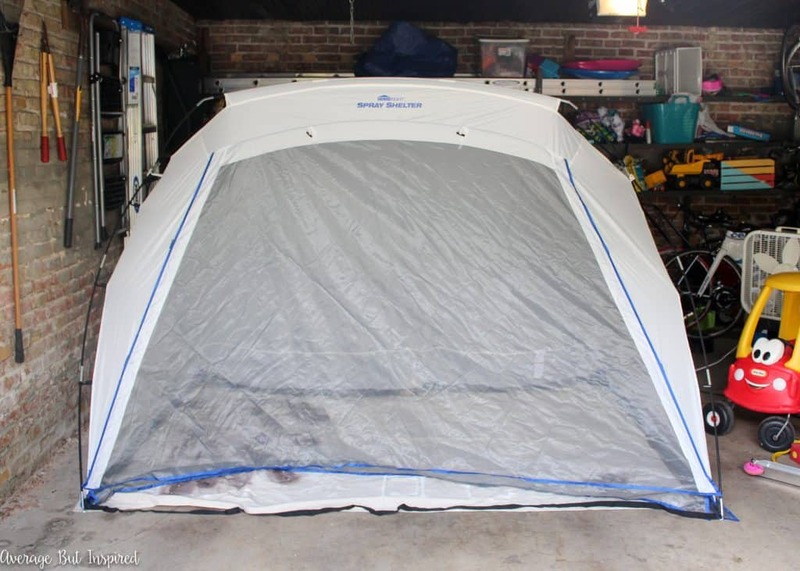 I laid down a drop cloth and got to work assembling my HomeRight Spray Shelter. It stores easily in a small bag, and it went together quickly so that I could get to work on making this projector cart pretty! I started by spraying the shelves and legs with primer. Because I was working with metal (and rusty metal at that), I wanted to make sure that the pretty colors I had chosen wouldn’t chip off! After the primer dried, I went back inside the tent to check things out. I was SO excited to find that, for the first time in the history of me spray painting anything, my pieces were perfect. Typically I spray paint outside and something always goes wrong; whether it’s leaves or debris in the air landing on the wet paint, the drop cloth flying up and sticking to the wet paint, or an animal using my project as its bathroom (thanks, birds), something always goes wrong. 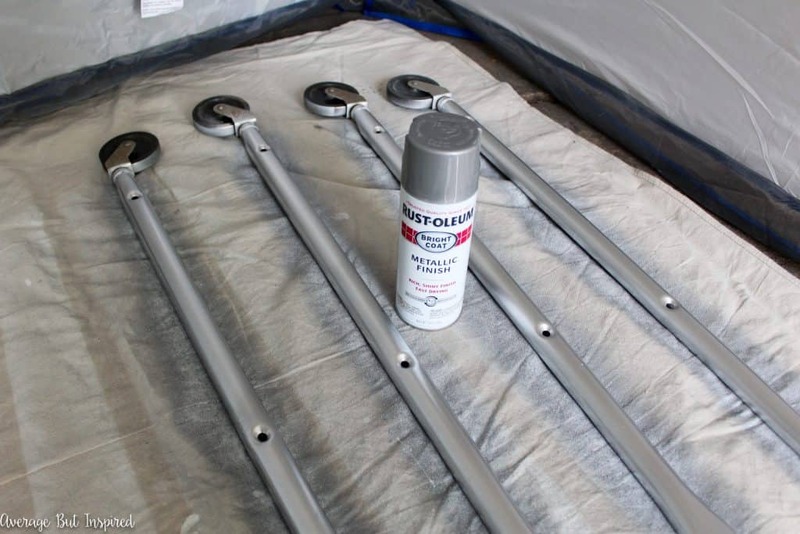 But not this time – the pieces were pristine because I sprayed them in the HomeRight Spray Shelter. Because of that great primer finish, I sprayed the shelves and they looked ah-maaaa-zing! Next up, the legs. They were really gross and needed a fresh coat of silver, so that’s what they got. 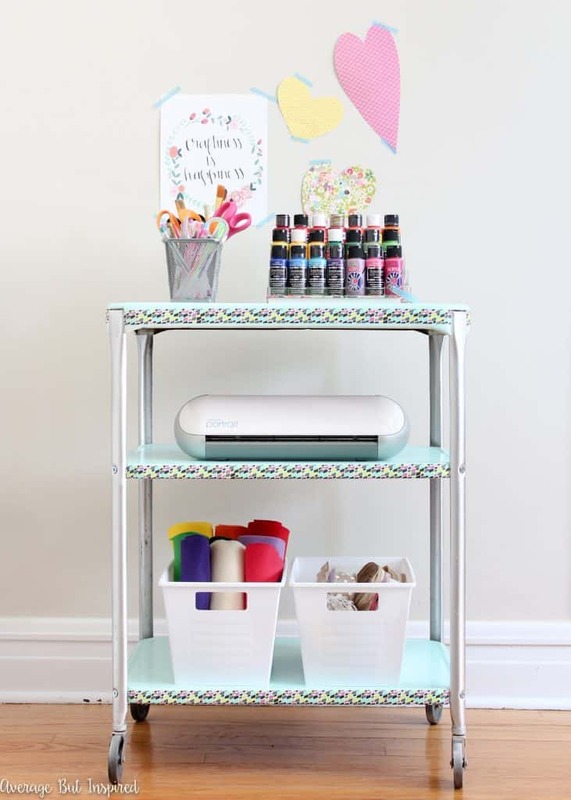 And just like that, I gave that vintage projector cart a beautiful new look and a great new purpose as a craft cart for some of my favorite supplies! 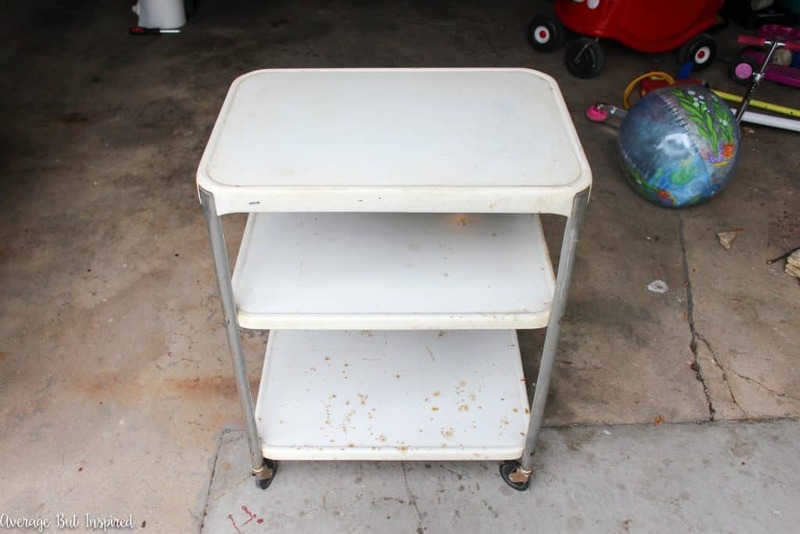 Can you believe this is the same projector cart I showed you above? 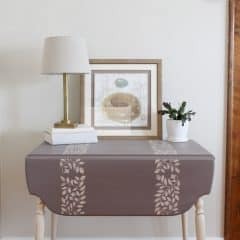 I am so happy with the perfect finish I got on this vintage projector cart to craft cart because of using the HomeRight Spray Shelter. 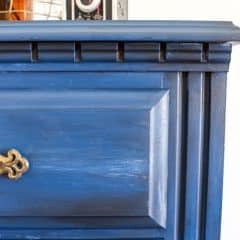 I am telling you that it made the biggest difference in my opinion of spray paint projects! 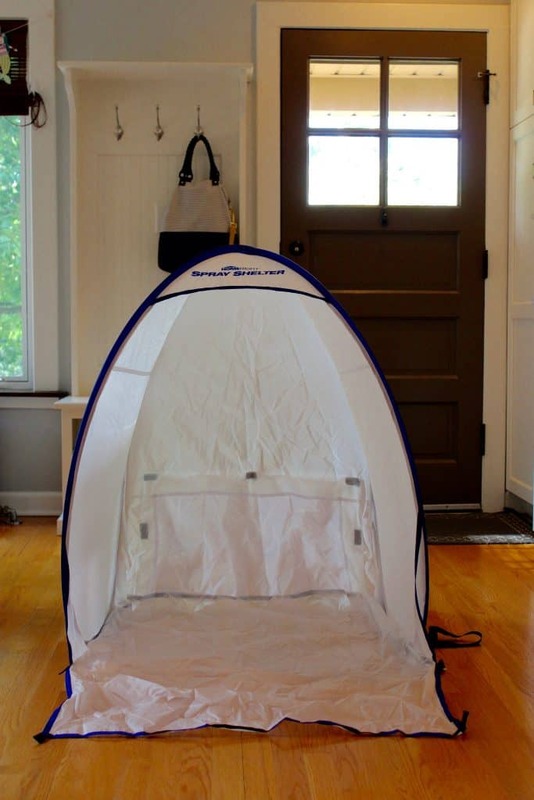 And for small projects that I spray, like lamps and decor accessories, I will be using the BRAND NEW HomeRight Small Spray Shelter, which you can use right on top of a table! It just pops right open and is ready to use! 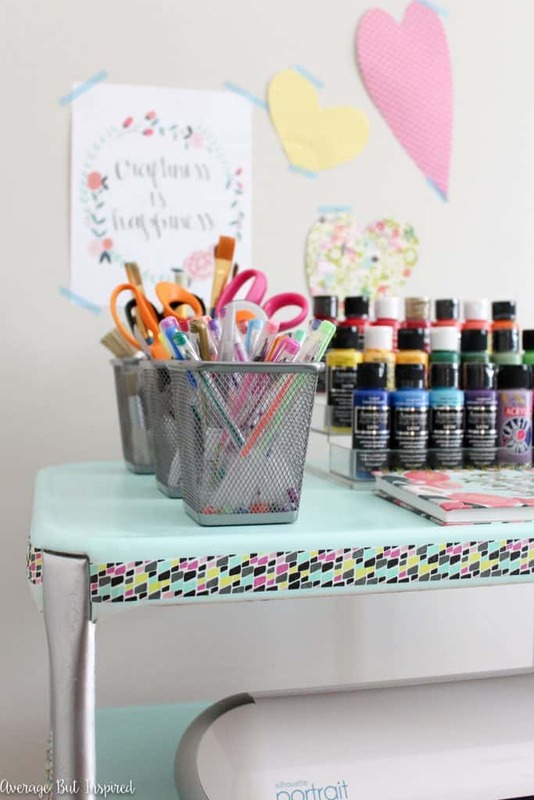 Now that you’ve seen how easy the HomeRight Spray Shelter made refinishing this vintage projector cart, be sure to check out my friends’ projects, too! Also, don’t miss your chance to enter to win a Finish Max Paint Sprayer, Rapid Clean Kit, HomeRight Spray Shelter and HomeRight Small Spray Shelter! See the Rafflecopter for complete terms and conditions. SO CUTE!! 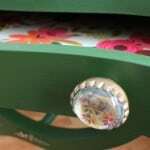 You know I love a good bar cart makeover, you did a fnatastic job! WOW! SUCH a difference! Love how it turned out Bre! 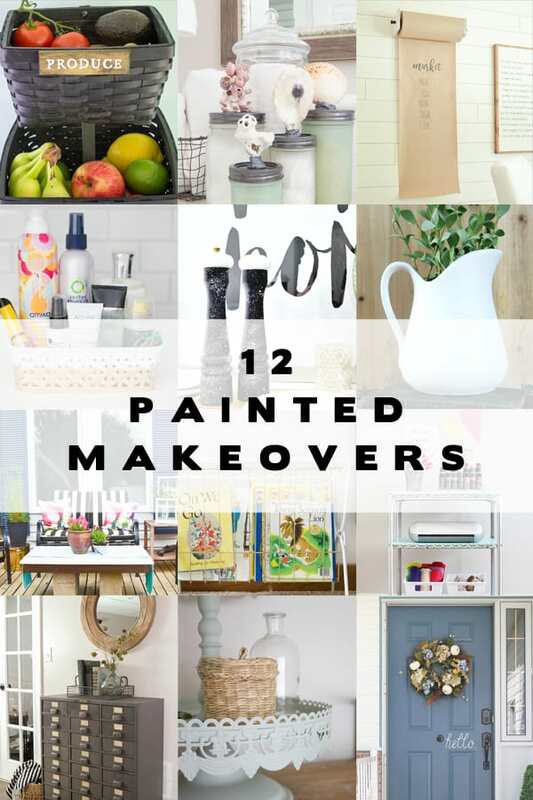 Ahhh, such a fantastic makeover! 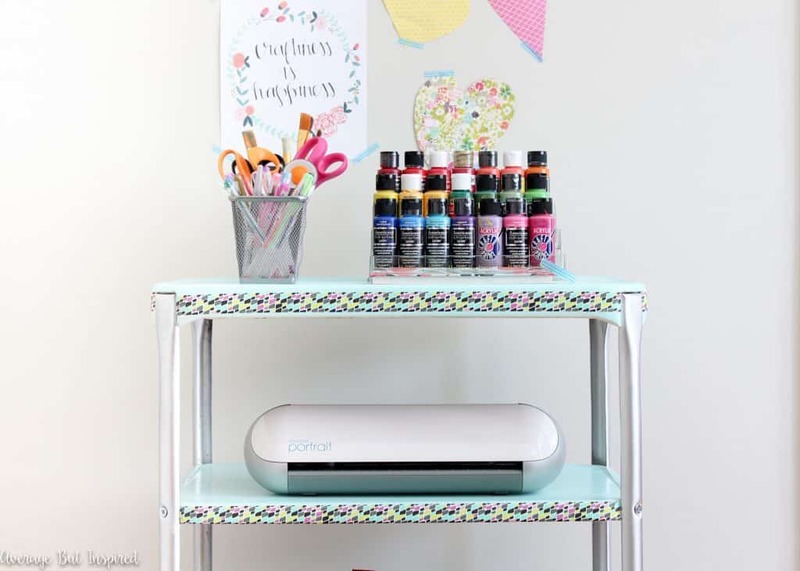 The combination of mint and silver is perfect and I love how you organized all your craft supplies, especially the craft paint. 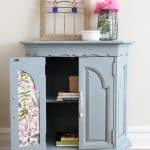 Such a great “trash to treasure” makeover. Love your makeover! 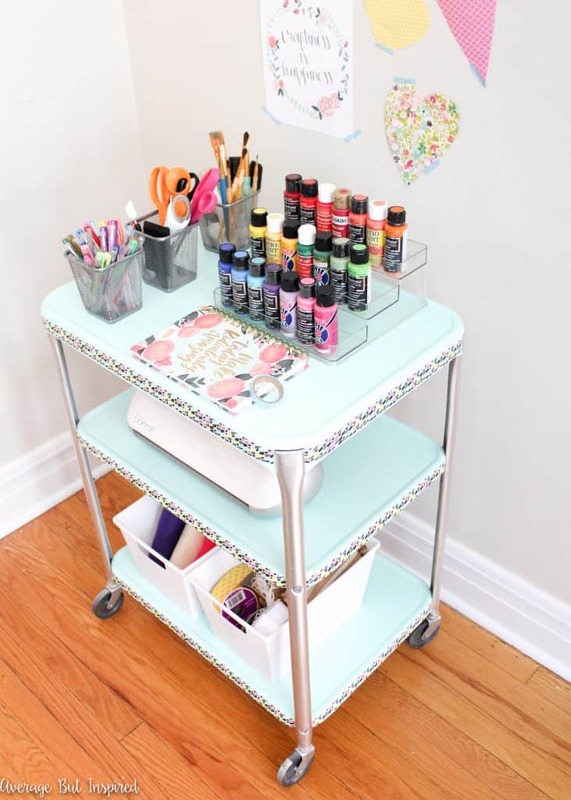 I have the same cart, this will be my project. Love this transformation! I can see some cabinets in my future! WHOA. What an amazing transformation!! 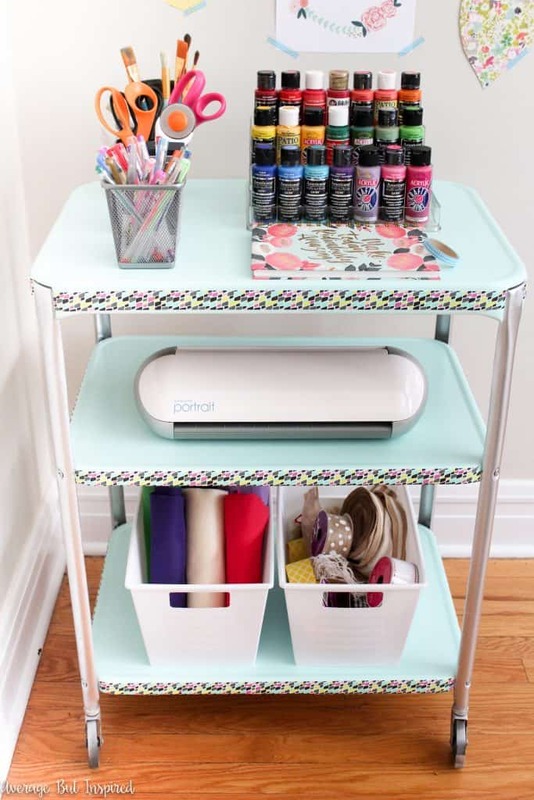 I love the color you chose and the fun washi tape detail around the edge – this is the perfect craft cart! And I’m always a fan of when spray painting goes right and there aren’t bits of things stuck to it or drips everywhere. Score! What a finish. Love the cart and the shelter idea is great. I always have problems with over spray and debris in my paint when painting outdoors. Thanks for the inspiration. 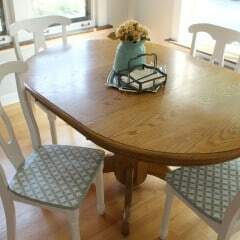 I have a vintage rocker in dire need of a new look. It’s one of those with slats and spindles that are almost impossible to paint with a brush. A sprayer would make things so much easier! Thanks for the giveaway opportunity. Great job. 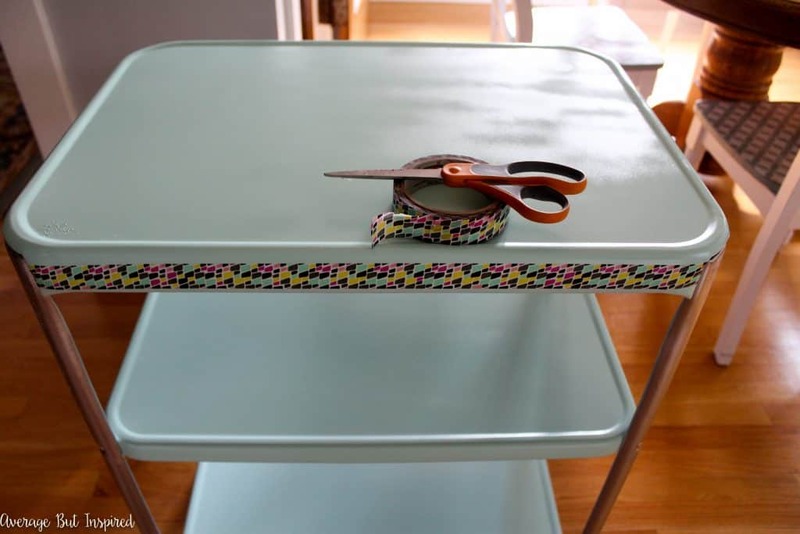 I think using the washi tape is so clever. Gives that extra spark without having to sweat the small stuff in painting. 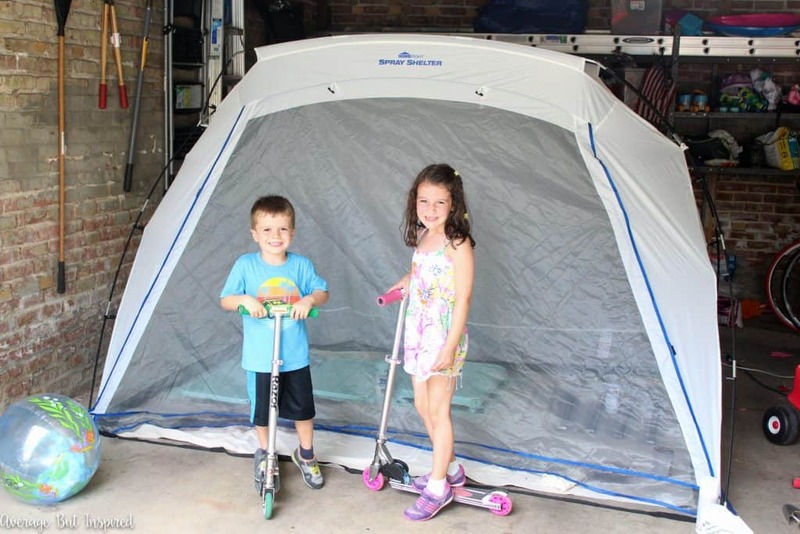 Love my full size spray shelter and now I HAVE to have the table top one!